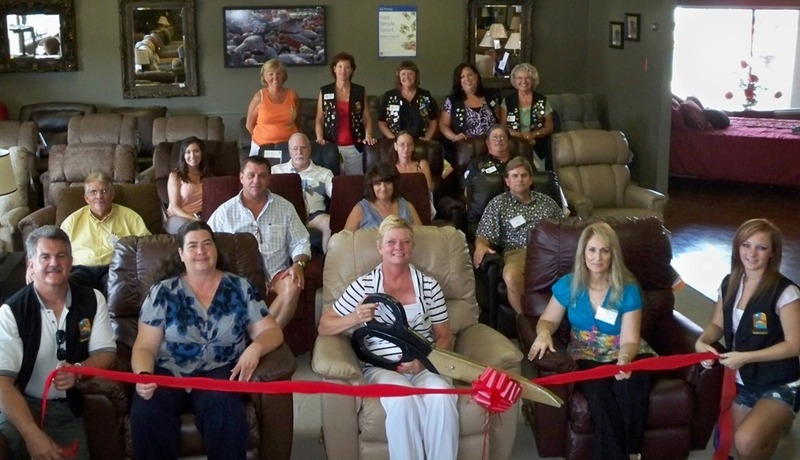 Havasu Furniture and Bedding is proud to announce the addition of the La-Z-Boy Comfort Studio Gallery. The gallery offers recliners, motion sofa and loveseats as well as the stationary sofa and loveseats, all available in a fabulous selection of fabrics. The Lake Havasu Area Chamber Ambassadors held a ribbon cutting for the new gallery. On hand for the ceremony were: front row, Ambassador Dominick Dragone, Beverly Christiansen, Pamela Marie and Jeannie Sylvester, Ambassador Taylor Whetten, middle row, David Stone, Curt Dodson, Janet Wells, Lesley Borges, and Robert Green and Denise Kubela, back row. Havasu Furniture and Bedding is located at 1607 Mesquite Ave and can be reached by calling 854-4814.